Are you registered to vote? Find out here! 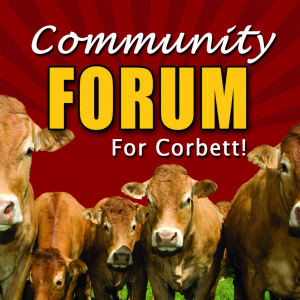 Each candidate was invited to share information with the Corbett Community on this page on March 23, 2015. As information is submitted you can select the additional links to review their statements and anything else they might like added to this page. You can also select here to visit the Multnomah County Elections Division. Meet your candidates hosted by NEMCCA on April 7th from 7:00-9:00pm at the Columbia Grange….. You can read the transcription of this meeting here. Follow up and other school related topics may be found on our Community Forum (Under the board with the topic of the Corbett Schools ) here. Stephen Knight – Link to more information about Stephen. Victoria Purvine – Link to more information about Victoria. The Board believes: (a) the public schools belong to the people who created them by consent and who support them by taxation; (b) the schools are only as strong as the support received from an informed public; and (c) the support of the people must be based on knowledge and understanding of the aims and efforts of public schools. – Support citizen advisory committees to consider concerns which affect the district.